The Mandela Effect: Are Alternative Universes Colliding? Nelson Maldela alive in 1998. Is this a serious scientific enigma, or just another internet conspiracy theory? At first Broome chalked this up to a faulty memory, but later, while hanging out at Dragon Con (an Atlanta Science Fiction and Comic book Convention) she met a number of people who seemed to have the same memories. Broome became interested enough in the phenomenon that she launched a website and quickly discovered that many other people seemed to have memories of past events that didn't seem to jive with the history books. She called this experience The Mandela Effect. Probably the most well-known example of the Mandela Effect is the case of the Berenstain Bears. The Berenstain Bears was a children's book series launched in 1962 and written and illustrated by Stan and Jan Berenstain. The series was widely read and loved by several generations of children. The Mandela Effect comes into play because many, if not most people, remember the series when they were growing up being spelled the Berenstein Bears, with an "e" instead of an "a." In fact, a number of people have claimed to have materials - VHS tapes and screen captures of websites - showing the "a" instead of the "e."
Another popular example of the Mandela Effect is the logo for the Ford Motor Company. According to historical records the logo has always featured a curl at the end of the crossbar in the "F" character. However, many people, don't remember it that way and believe it has somehow been changed. The Bears series: Berenstain or Berenstein? Ford isn't the only company logo that supporters of the Mandela Effect alleged has been changed. They point to the "Jiffy" peanut butter product. Lots of people remember "Jiffy" but I you won't find it on any supermarket shelf in the United States. That's because the product is actually "Jif" not Jiffy. 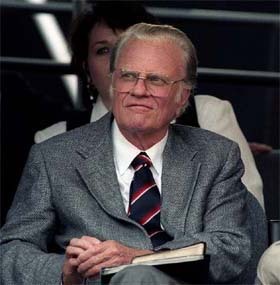 In another case of a celebrity death, many people seem to remember the preacher Billy Graham's demise and seeing his funeral on the television. However, as of this writing, the Reverend Graham is still alive and though aged, is still with us. So what is happening here? Do people just have bad memories, or is something else going on? Broome and other supporters think that maybe a collision of alternate universes is to blame. They believe that there are many universes, each one slightly different from another (for example, in one universe the book series is spelled "Berenstain Bears" and in another it's "Berenstein Bears"). When these universes come together the past gets mixed up allowing people to remember the spelling in alternate ways. As crazy as this sounds, science does suggest that there may be multiple universes. The "many-worlds interpretation" of quantum mechanics resolves some odd aspects of that theory by suggesting there may be a very large (perhaps even infinite) number of universes, and everything that could possibly have happened in our past, but did not, has occurred in the past in one or more of the other universes. However, there is no evidence that these multiple universes (if they do exist) can interact with each other in a way to produce the Mandela Effect. Another theory held by supporters of the Mandela Effect is that we are living in a virtual world (similar to the one dramatized in the movie "The Matrix") and the Mandela Effect is the result of changes being made to this virtual world. While both the "many-worlds interpretation" and the "virtual world" theory are intriguing ideas, they are beyond our ability to test in any scientific way. They also seem unsatisfactory solutions to the question of the Mandela Effect because they fail a scientific rule-of-thumb known as Occam's Razor. Occam's Razor is a problem-solving principle attributed to William of Ockham who was a fourteenth century English Franciscan friar, scholastic philosopher and theologian. The principle, stated in layman's terms is ""the simplest explanation is usually the correct one." If we apply Occam's Razor to the Mandela Effect we have to ask if multiple universes or is a faulty virtual world the simplest solutions to the conundrum, or are there other more straightforward possibilities? Or as the astronomer Carl Sagan often asked, don't "extraordinary claims require extraordinary proofs?" Scientists know that people's memories can be faulty. In fact, among police experts its well-known that eye witness accounts are the least accurate type of evidence, even though they are often the most persuasive to juries. Why is this? We like to think our brains record our experiences like a video camera records the world. When a video recording is played back we can expect that unless the recording has been tampered with, we are seeing the world exactly as the camera saw it. The problem is that our minds are not mechanical recording machines. Our brains have limited storage space and only things that are important are recorded long term. Try to remember what you had for breakfast two weeks ago last Tuesday. Most people (unless they have the same thing every Tuesday) can't. Memories are also unlike video recording because every time we access a memory there is really, really good chance, given the way our brains store this information that we may change the memory a bit. Think of the fisherman that each time he tells the story about "the big one that got away" the fish seems to get a bit larger. The combination of these two effects result in something referred to as "Confabulation." When we don't have a complete memory we fill in the missing parts with something that seems logical to our brains and because of the way our brains are wired this can result in the original memory being changed a bit. How would confabulation account for something like the "Berenstain Bears?" One of the things that people don't store in their brains all the time is unusual spellings, especially if the spelling isn't important to the overall memory. While reading a Berenstain Bears book people would be much more likely to remember that storyline than notice and remember that the spelling of the name was a bit odd. When they try and remember the spelling of the name their brains just fill in the most common spelling which is with an "e" instead of the "a". The source of this "Mandela Effect" is much more likely a false memory than some clash of alternate universes. Billy Graham is not in the public eye, but still alive as of Feburary 2017. ( CC BY 2.0 Paul M Walsh). 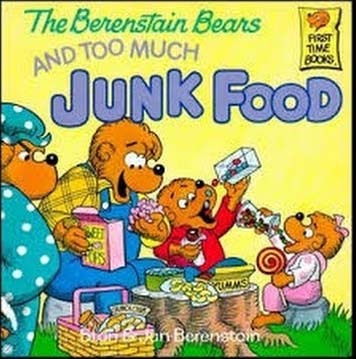 Making the "Berenstain Bears" case even more complex is that there have undoubtedly been instances were official Berenstain Bears materials have been misprinted with the incorrect spelling simply because the writer and editor failed to check the proper spelling and assumed the more popular "Berenstein" was correct. Confabulation may also explain other Mandela Effects. For example, while the Reverent Billy Graham is still alive, his wife, Ruth Graham died in 2007, and her death was covered in some TV news. 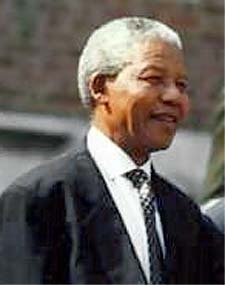 People may be connecting her funeral, with his decision to retire from his famous crusades in 2005. Knowing that he has been out of public life and seeing news coverage of her funeral they may have confabulated the two together to assume his death. It seems much more likely that Mandela effect is a trick of our own memories than a collision of universes or a virtual world. It also suggests that our individual memories aren't particularly bad as so many people seem to remember certain event wrong. It simply shows we are human and our memoies, as much as we would like them to be perfect, are not. Copyright Lee Krystek 2017. All Rights Reserved.